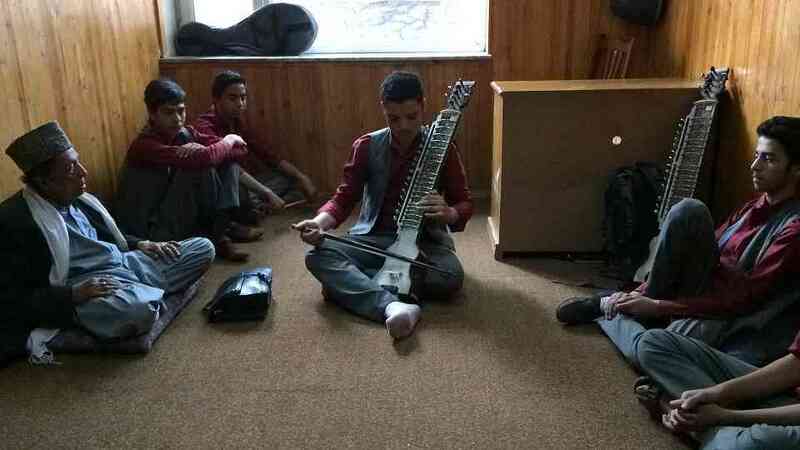 The Afghan National Institute of Music is the country’s only music school. Until just over ten years ago, learning, teaching, and making music was illegal. After the fall of the Taliban, it was imperative that the country revive its cultural history. ANIM brings music education to children who are most vulnerable in this region—half of the students are orphans or street kids, and it is the only school in the country where girls are permitted to learn alongside boys. SAA registered violin teacher Jennifer Moberg began teaching at ANIM this year, and the school is currently hiring a Suzuki cello teacher. We interviewed Jennifer and ANIM founder and director Dr. Amhad Sarmast via email to learn more about the school and the work they are doing. 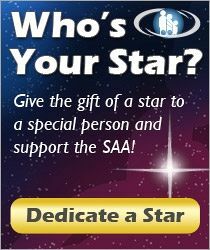 You (Jennifer) have registered SAA training in violin through Book Ten, and ANIM is currently hiring another registered Suzuki teacher. Do you use the Suzuki method at ANIM? How have you had to modify your approach for this setting? JM: The principles of Suzuki philosophy are central to our school’s mission, that every child can and should learn, regardless of their gender, ethnicity, or social circumstances. This is what drives us to reach out to the most disadvantaged members of society. Many of our students are orphans, or living in orphanages, as the families are too poor to care for them. So although there is no “home teacher” with whom to practice, the mission is the same—build character through musical study, give children something beautiful in their chaotic lives, make fine citizens and noble human beings. You could say that, much like El Sistema, we are Suzuki in our philosophy, but not in all of our implementation. Teri Einfeldt once told me that all children are Suzuki children, but not all families are Suzuki families. I never understood that sentiment better than I do now here in Afghanistan. Here, the triangle is more like a straight line. Because there is no parental involvement, we have to do a lot of practice training—helping the students to understand what is necessary for an effective practice session, and how to be critical in teaching themselves. The advantage of growing up in a place like this is that kids are already accustomed to having lofty responsibilities at an early age—earning income, caring for younger siblings, caring for parents—so learning to be responsible for their own practicing comes naturally to many of them. 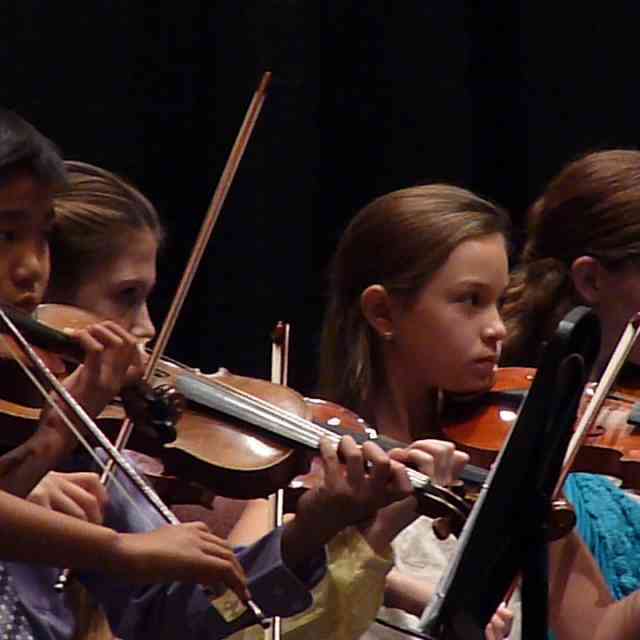 In addition to their ensembles or groups, the string students all take two private lessons each week, the second one being more to check the practicing and make sure they are doing everything correctly and to answer any questions they may have. Another challenge has been the fact that many of the students do not have access to MP3 or CD players, so they have never done “study listening” or really any kind of active listening to the music they are learning. The first thing I did when I arrived was record all of the pieces (polishing/working/preview) the students were doing and set them up with some means of daily listening. For some of them, this means coming into my office during a free period to listen on my computer, for some it means transferring music onto a school computer in the library. What role does Western classical music play in Afghanistan’s musical revival? AS: Western music has no deep history in Afghanistan. The introduction of Western instruments and music began only in the mid-twentieth century, when a music school was formed within the Afghan army in order to train the first military barracks band. Radio Afghanistan featured a weekly broadcast of various types of Western classical music, accompanied by an introduction of composers and styles. They also employed a small number of graduates from the School of Fine Arts, who formed the “Second Ensemble of Radio Afghanistan.” Their repertoire was not so much classical pieces; instead, they performed various popular European genres such as polka, waltz, foxtrot, etc. This pioneering ensemble also provided musical entertainment between acts of one of the first open theaters in Afghanistan. In the 1950s, the first international Western classical performers began touring major Afghan cities, and in the late 1960s, the first ever music appreciation class was established within the Ministry of Education. Following this initiative, the first official music school was established in Afghanistan in 1974. 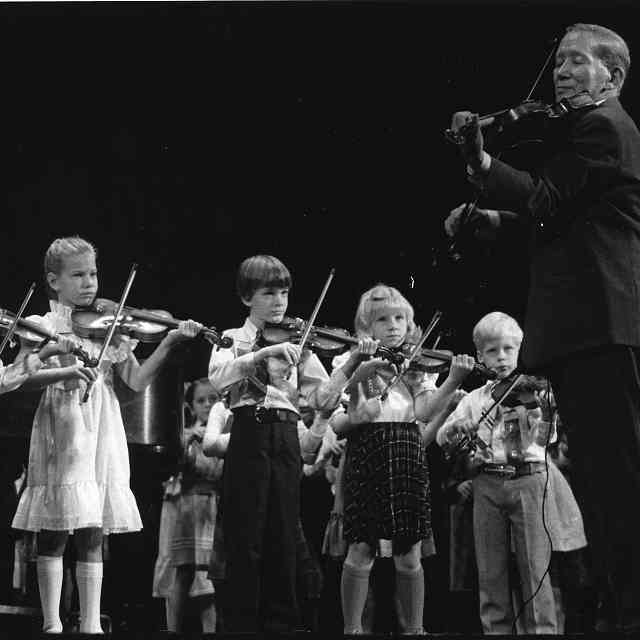 Sadly, there were many limitations, and the program was far away from teaching actual Western classical music. Only a few instruments remained from the original initiative, but no expertise to continue the instruction. Still, the desire for music was strong in the country. Unfortunately, during the Taliban regime, all music was outlawed. This meant no teaching, studying, or even listening to music of any kind, Western or Afghan. This was truly a dark time for Afghanistan. I am a strong believer in the power of music education. 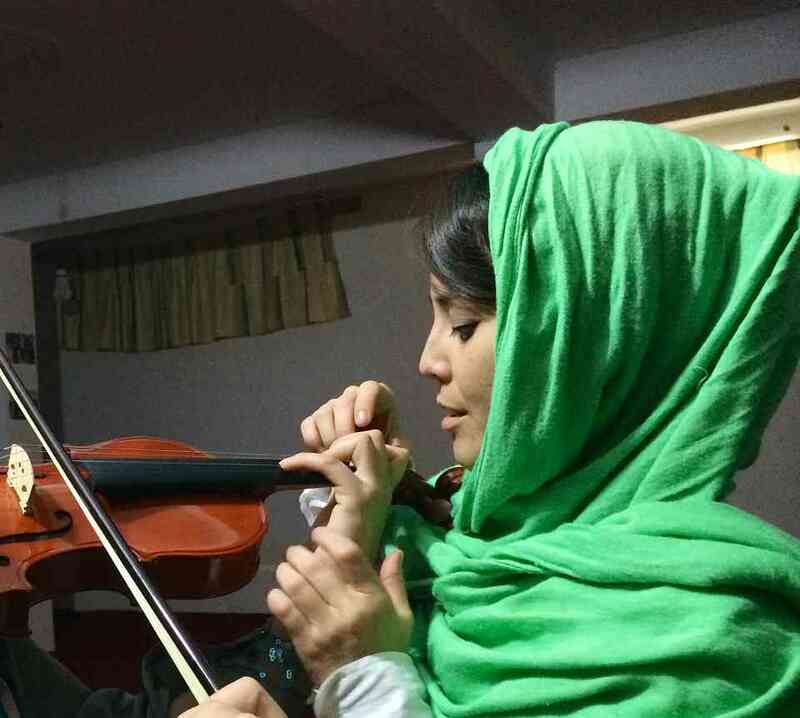 After the fall of the Taliban I returned to Afghanistan as the country’s only PhD in music to establish the first fully-functional music school. 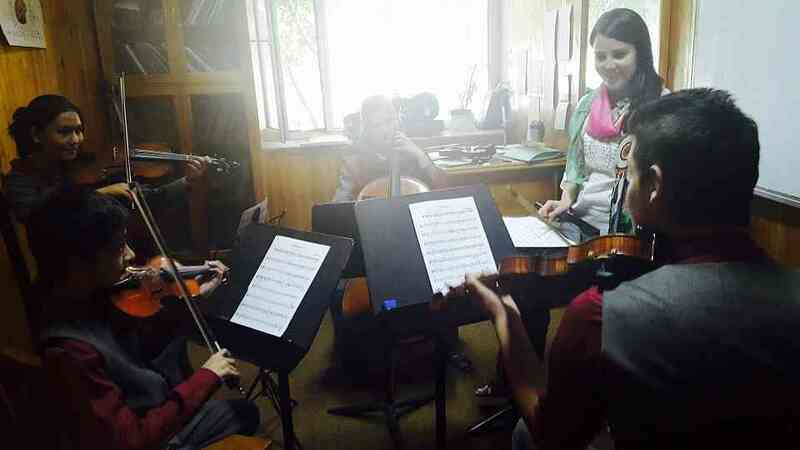 Afghanistan National Institute of Music now has all the prerequisites of a music educational program that can enable Afghan students not only to revive and maintain their own musical traditions, but also to learn Western classical music. 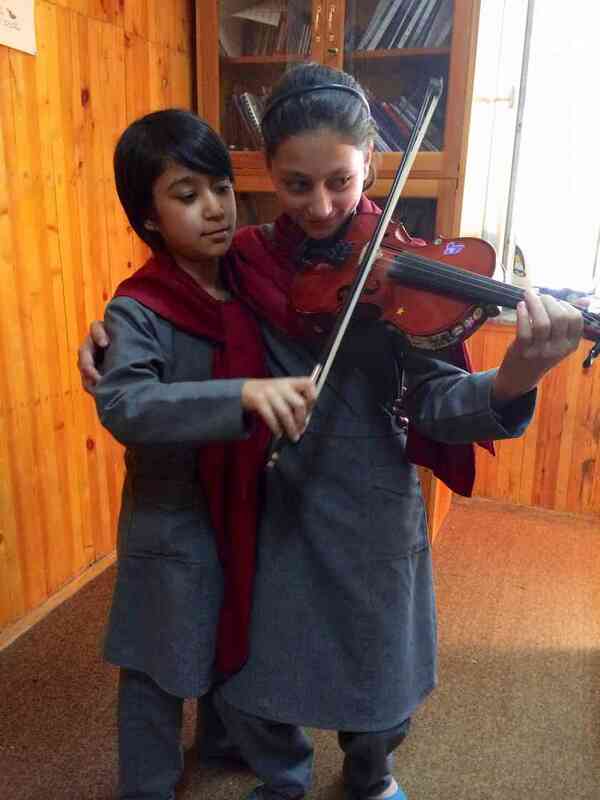 My vision for the school is to enable our students to promote musical diversity in Afghanistan as a basic human right, and to give the country various ensembles and orchestras that are part of music making around the world. Now, Afghanistan has its first ever orchestra capable of performing the Afghan National Anthem. What musical opportunities currently exist for ANIM graduates? AS: The musical needs of Afghanistan are enormous. This is one of the only countries that does not have a national orchestra. This is a country where the various military barracks are lacking their own bands. Afghanistan is a place where the film, TV, and radio industries are moving and emerging very quickly, but there are no instrumental ensembles to provide music for these industries. Here, you may count the number of music educators on your fingers, and therefore general music is not part of the curriculum in government schools at any age. Even the existing ensembles of the country are amateur musicians. ANIM graduates will not only fill these voids, but move towards establishing various music ensembles, teach private music classes, and perform in public. Nowadays ANIM is getting an enormous amount of requests from various radio and television stations to identify and introduce musicians who may work for them on a full time basis. It is a very exciting time for ANIM when we already see that there are more job opportunities for our graduates than in any other skills. What is it like living in Kabul? JM: Living in Kabul is very different from everywhere else I have ever been. The news that you see in America is largely focused on the dangers of being here—bombings, suicide attacks, etc., and whereas there are security concerns that are unique to Afghanistan, it is not nearly as dangerous as people assume. We have no more violence than an average American city; our media presence just makes it seem more “exotic.” In fact, Dr. Sarmast often says that the international media is Afghanistan’s biggest enemy, and I am inclined to agree. There are thousands of foreigners from all over the world working safely in Kabul. An evening out is like a meeting of the United Nations—American, Canadian, Russian, Polish, German, etc., and at any given time, you can hear a conversation with three or four different languages. I know that I am well looked after, that I am safe, and that the mission that I am on is well worth any risk. The people here are very welcoming, the music is amazing, and the food is delicious. It is so exciting to be in a city in the midst of recovery; there is an air of development everywhere, and you can feel how eager people here are for progress and peace. The whole country just wants to move forward, put the past behind them, and thrive. The students, however, are the best part of this place. They are hungry to learn, and are passionate about every note they play. Every time I end a quartet rehearsal, the students protest that they can still play a few more repetitions. I have students who have memorized the string studio schedule; they know when their classmates are absent, and will come in and ask for extra lessons during the available time! I have never encountered students who love learning more, and who are more motivated to excel. This in and of itself makes the whole experience worthwhile. Teaching in Kabul is truly a once in a lifetime opportunity, and I could not be more grateful! The story of ANIM is similar to Shinichi Suzuki’s return to war-torn Japan. What do you see in your students that gives you hope for the future of Afghanistan? How is the act of playing music making a difference in their lives? JM: Dr. Suzuki’s return to war-torn Japan is never far from my heart here in Afghanistan. We face similar challenges—orphaned children, crippling poverty, destroyed infrastructure, lack of basic amenities like healthcare and education. I truly believe that Dr. Suzuki’s heart would be moved by the plight of Afghanistan today and that he would declare it a Suzuki mission! As I mentioned before, many of our students come from severely impoverished conditions. Some of them were helping their families earn a living by selling bits of plastic on the streets or begging. Knowing this, a walk through the hallways of ANIM is a very emotional experience. On my first day at the school, I was really overcome as I poked my head into the different classrooms of kids playing traditional and western instruments. Just over ten years ago, music was illegal in this country, and now there are three different ensembles comprised solely of girls! The students, being the only trained musicians in the country, are afforded amazing opportunities most Afghans cannot even dream of. They perform regularly for diplomats, ambassadors, even the president of Afghanistan, and some have been on international tours to the United States, Oman, Argentina, and the United Kingdom. Not only does this make them some of the most educated children in the country, but they are also certainly the most well traveled. This is amazing here- they have the distinct advantage of being exposed to other cultures, of seeing something beyond the warzone their country has been for the last thirty-five years. Our scholarship program includes a family stipend, so that children who were formerly working to help pay for food no longer need to feel the obligation, and can concentrate on their studies and practicing. I have one student who told me that if it were not for playing the violin, he would probably be selling potatoes from a cart on the street. The other day, five grade-13 students (18–19 years old) burst into my office in the midst of a heated discussion. They were arguing about what Neapolitan chords are and how to notate them. The situation was beautifully ironic: when one thinks about young angry Afghan men, supertonics are not generally what come to mind. Mediating an argument about chord inversions was as delightful as it was unexpected, and it reinforced what has already become obvious to me here: this country is so much more than the decades-long war. The people are so much more than the extremists the West assumes they are. What music is doing for the students here at ANIM is giving them an outlet for their drive and intelligence. Music provides them with a different voice for their emotions, a direction for their passion. The Neapolitan incident paints a much better picture of Afghanistan today than the unbalanced news of IEDs and kidnappings. 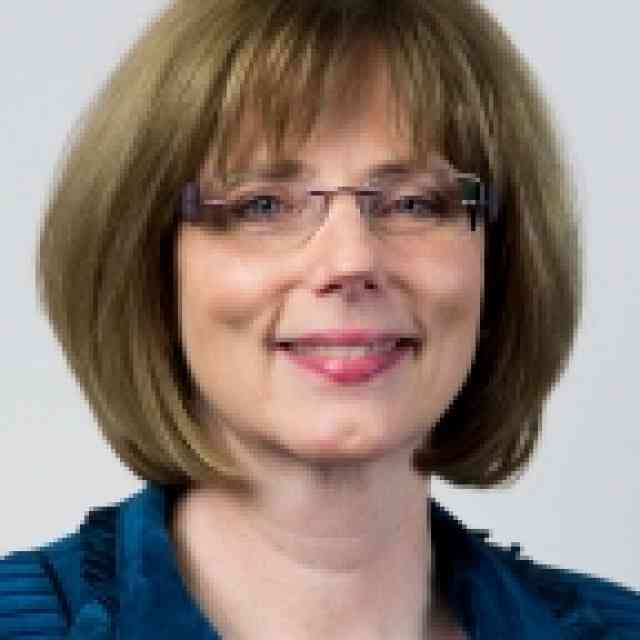 To learn more about ANIM, please visit the school’s website and Jennifer’s blog. 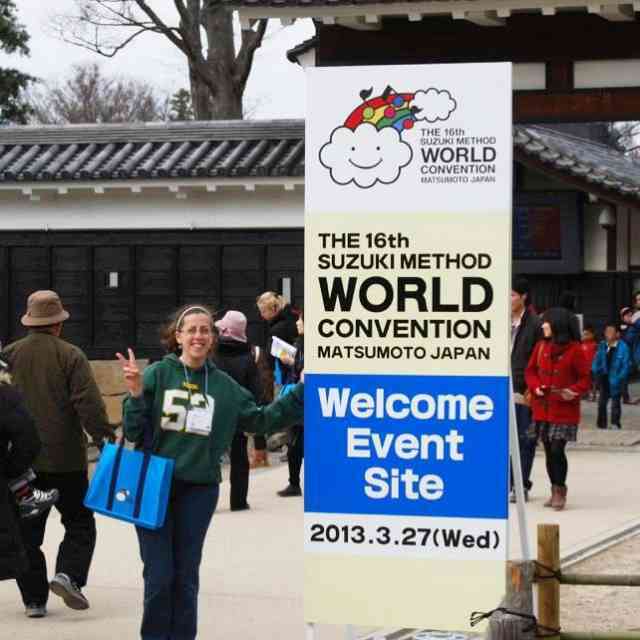 Jennifer Moberg is a passionate educator and avid world traveller. She is can be found riding her motorcycle around Hong Kong, Bangkok, or Kabul, with her trusty BAM strapped to her back. In addition to founding Hong Kong’s first and oldest Suzuki school, she was the head of strings at the Afghanistan National Institute of Music, and taught at the Immanuel Music School in the Khlong Toey slum of Bangkok. She is currently working on a Masters degree in International Development, focusing on Afghan refugee community development. Dr. Ahmad Naser Sarmast is a native of Afghanistan and a son of the late well-known Afghan composer, conductor, and musician Ustad Salim Sarmast. A Research Fellow of the School of Music-Conservatorium and Monash Asia Institute of Monash University; an Honorary Fellow of the National College of Music, London; and an Honorary Member of the Royal Philharmonic Society of the UK, Dr. Sarmast is the founder of ANIM. He received his PhD in music from Monash University, Australia in 2005; his MA in musicology/ethnomuiscology, from theMoscow State Conservatorium in 1993; and his Bachelor Degree in performance and music education from the same school. He has been conducting research on music of Afghanistan since 1993, resulting in the landmark book A Survey of the History of Music in Afghanistan. Dr. Sarmast has received several accolades, including the International Music Council (IMC) Musical Rights Award in recognition of assuring the musical rights of the Afghan children. In December 2009, Dr. Sarmast received the David Chow Humanitarian Award in recognition of his “brave and selfless” efforts to rebuild and promote music education in Afghanistan. In 2011, the Ministry of Education of Afghanistan acknowledged Dr. Sarmast’s contribution by awarding him the Education Award of the Government of Afghanistan.